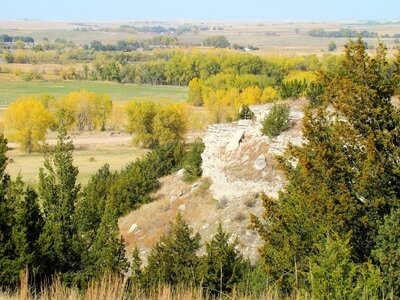 Ash Hollow State Park is located along Highway 26, just over 3 miles southeast of Lewellen. 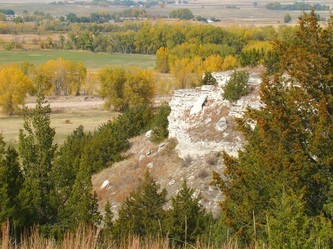 Ash Hollow Creek bisects the rugged canyon, and is lined with a variety of trees. 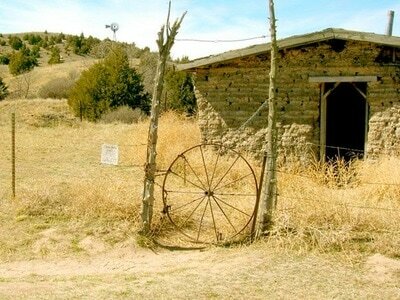 Native American tribes lived in the canyon for centuries, leaving behind a wealth of artifacts. Starting around 1841, early settlers, following the nearby North Platte River valley west, had to descend the infamous Windlass Hill. 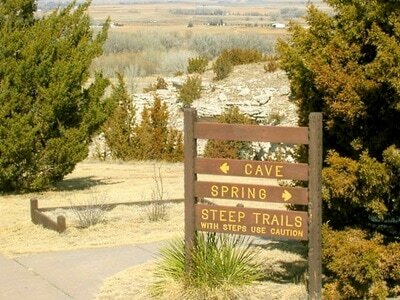 Because of the steepness, accidents sometimes occurred. 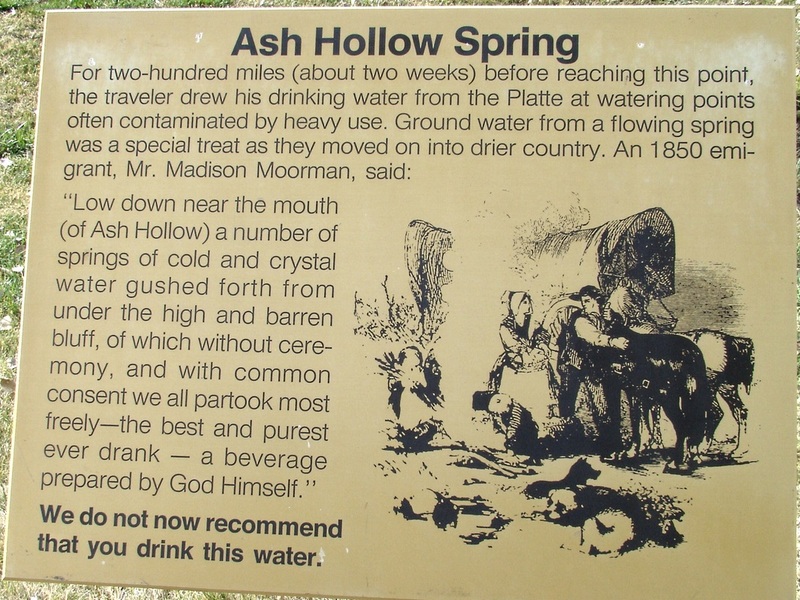 The settlers found a good place to camp at the bottom of the hill, with a major spring available to water livestock. The 1,000-acre state park has a historical interpretive center and several hiking trails. 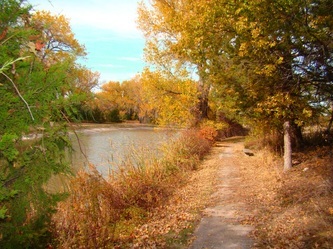 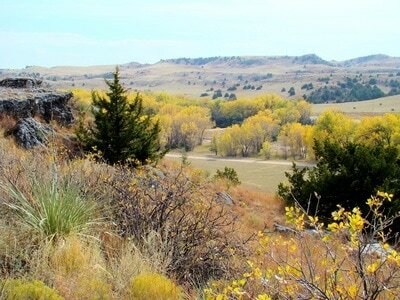 The nation’s longest non-motorized trail, the American Discovery Trail passes through Ash Hollow State Park, coming into the park from Lake McConaughy to the east, passing by the deep ruts of the old Oregon Trail on Windlass Hill. 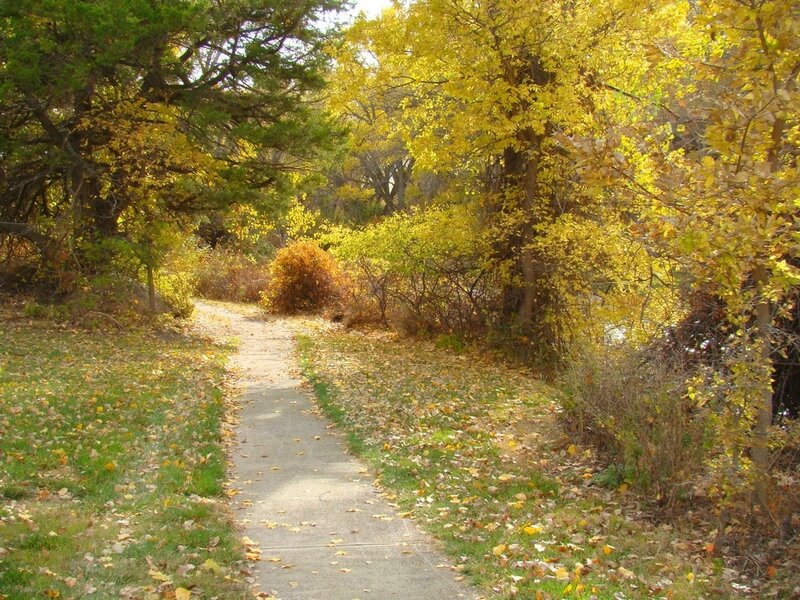 From there, the trail heads south on county roads to Big Springs, Colorado. 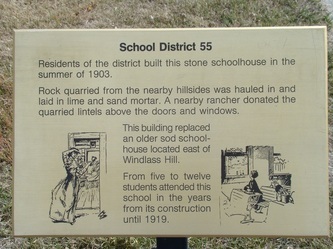 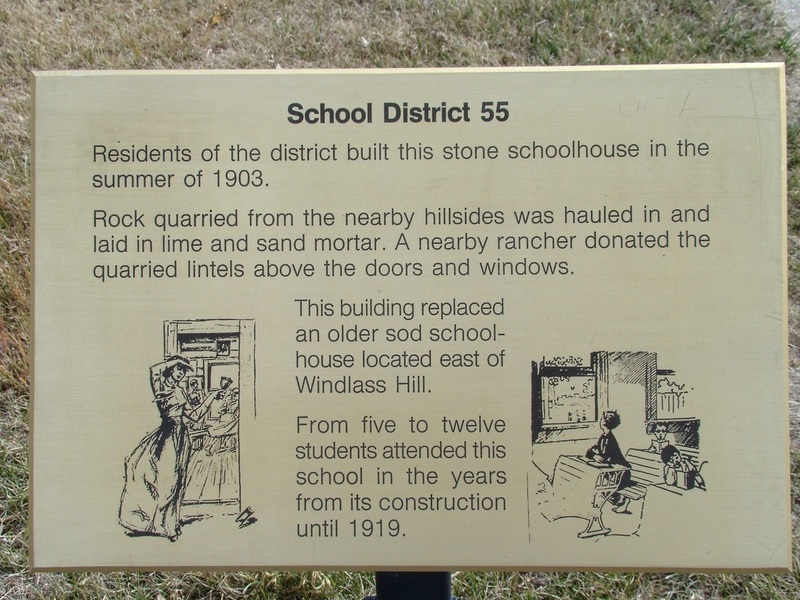 Placard for an old school at the state park.